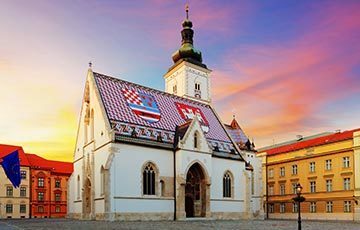 TIP: WALK THROUGH THE ARCADES AND SEE WHERE CROATIA’S NOBILITY, POLITICIANS, POETS AND ARTISTS WERE BURIED. THERE IS A FREE ELECTROMOBILITY SERVICE AVAILABLE FOR ANYONE WHO HAS TROUBLE WALKING. 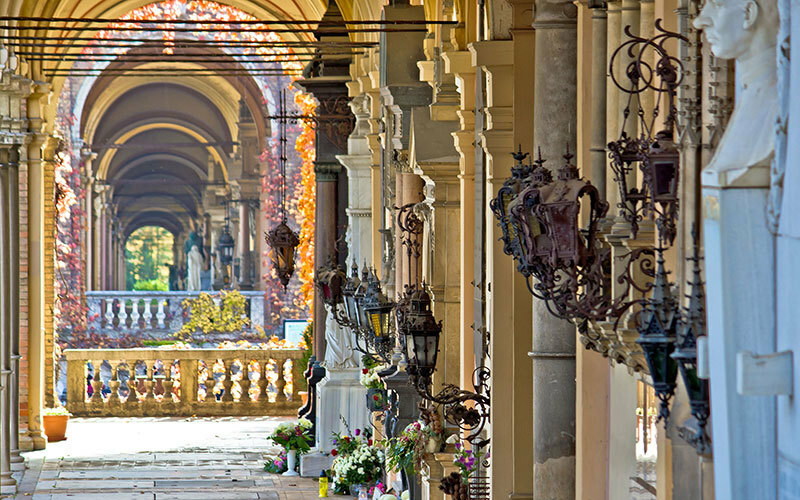 Mirogoj cemetery with its majestic arcade topped by a string of cupolas looks like a fortress from the outside. In reality, it feels calm and graceful on the inside. 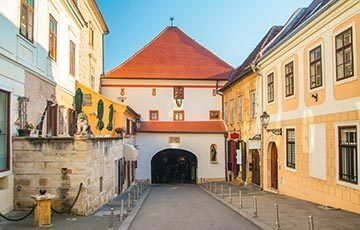 One of the most attractive places in Zagreb! 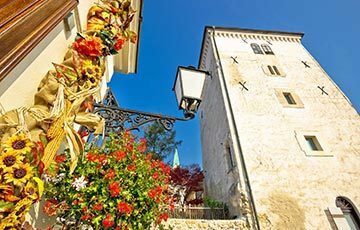 Situated on the slopes of the Medvednica mountain it is intertwined with rich vegetation. Mirogoj is more than a cemetery. Its arcades, pavilions and tombs are monuments to architecture. Walk through the cemetery’s lanes and you will see a touch of many artists. For this reason, we say it is an open art gallery! Herman Bollé designed the cemetery and its 500 meters long line of neo-renaissance arcades with 20 domes. 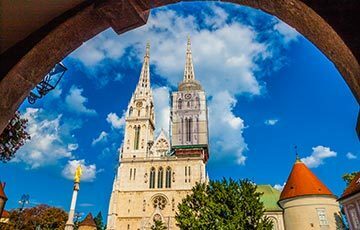 He also renovated the Zagreb Cathedral and Saint Mark’s Church. All religions can be found here, Catholic, Orthodox, Muslim, Jewish, Protestant, Latter Day Saints and irreligious graves! 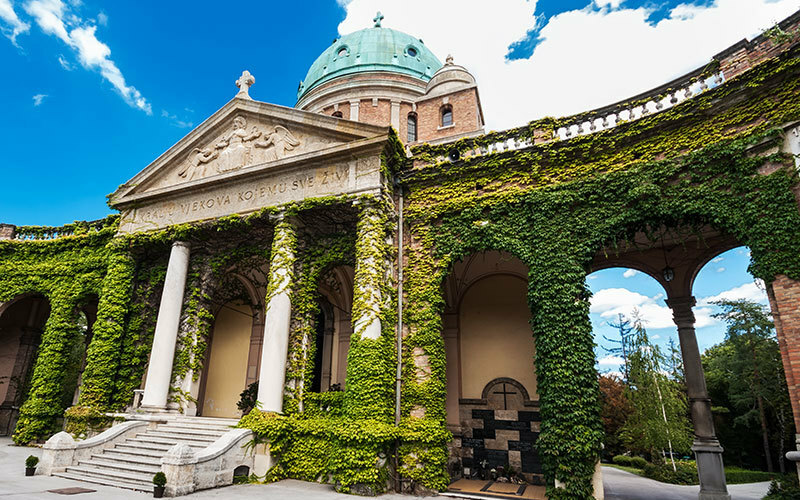 What can you see and do at the Mirogoj cemetery? Enjoy a relaxing stroll as you can soundly hear birds chirrup and feel the gentle breeze. 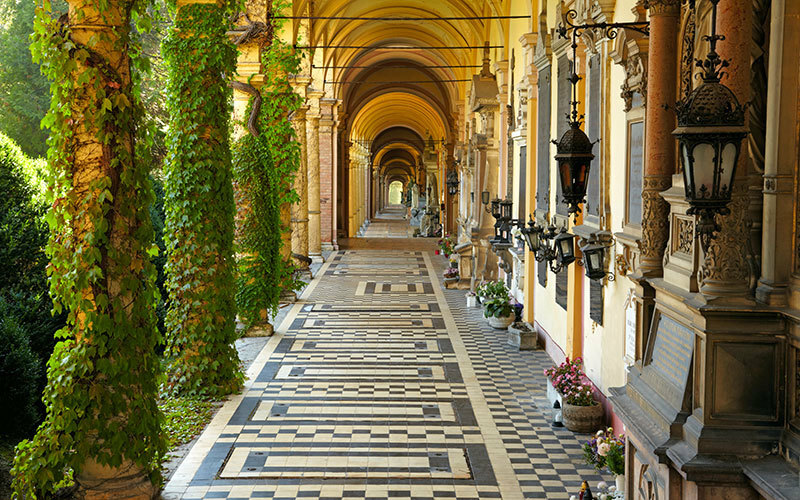 The Mirogoj Cemetery is crisscrossed by paths, sculptures and artfully designed tombs. Wall of Pain (monument to Croatian victims of the Croatian War of Independence). 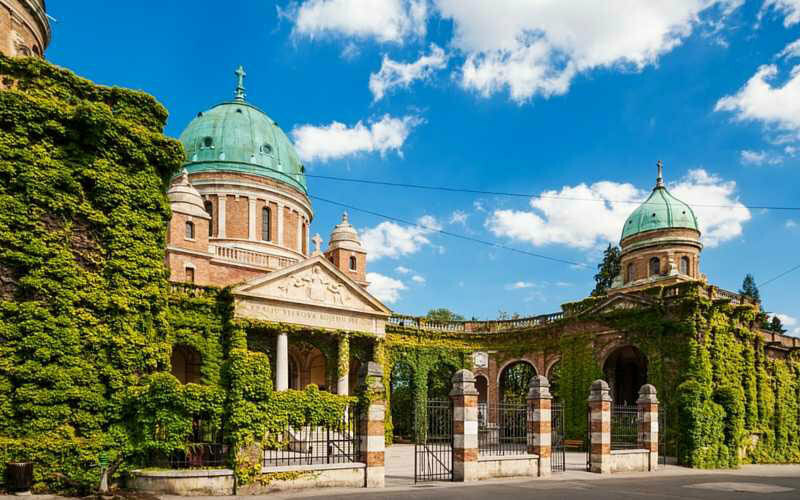 When is the best time to visit the Mirogoj cemetery? Any time of year is fine as the cemetery is well maintained. Spring is great as everything is in blossom. On the other hand, during autumn the cemetery is full of contrast. 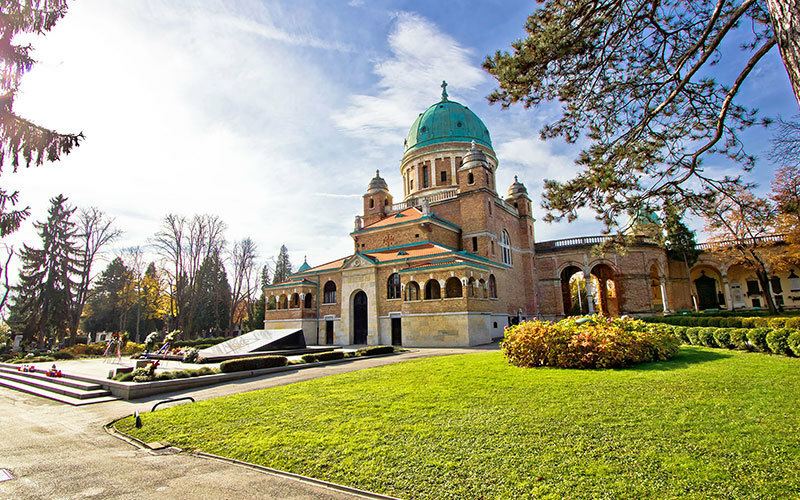 If you wish to see Mirogoj in its full glory, visit around All Saints’ Day or Remembrance Day (1st November). The locals visit their family graves on that day, decorating them with flowers and candles. How to get to Mirogoj cemetery? Take the bus N°106 from the Cathedral of the Assumption of the Blessed Virgin Mary to Mirogoj cemetery (it takes approximately 15 minutes and costs 4 kn). 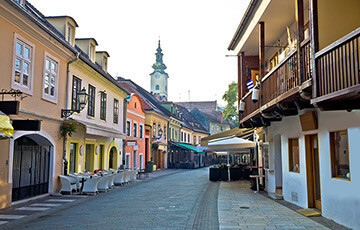 You can also take tram N°14 from the main square heading to Mihaljevac and get out at the fourth stop (Gupčeva zvijezda) than you climb up Mirogojska street to Mirogoj (approximately 1 km). For more history information go to [Wikipedia].